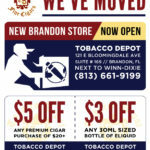 Stop in at your local Tobacco Depot to get a great deal on one of our favorite e-liquid flavors! 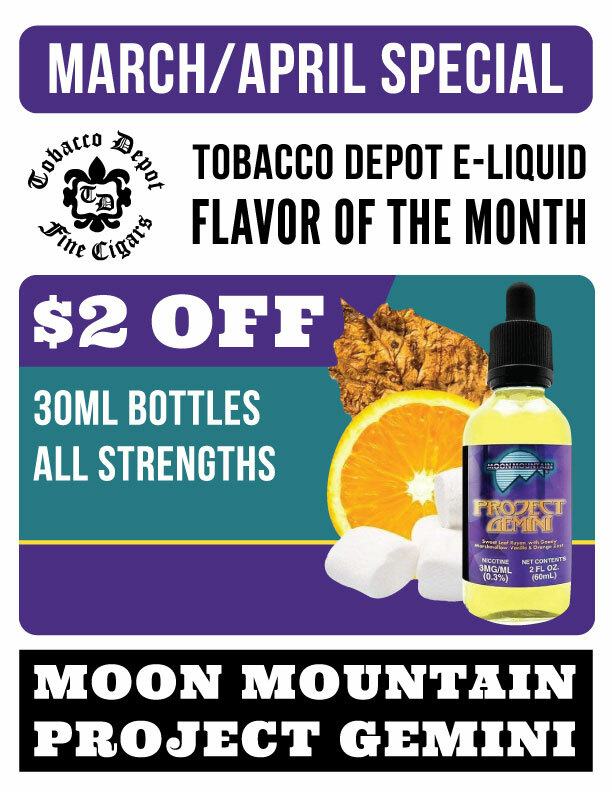 From March until the end of April, enjoy $2 off 30ml bottles of any strength Moon Mountain Project Gemini. Our customers love the combination of gooey marshmallow, vanilla & orange zest in this flavor.